I know what you’re thinking… Metallica and “underrated” can’t go together because Metallica is one of the biggest bands on the planet, and they’ve literally got millions of fans singing their praises. To be fair, I’m not suggesting Metallica itself is underrated. Most of their albums receive the fair amount of praise or criticism. But they do have one album that I think is underrated. It is their 1988 masterpiece, otherwise known as …And Justice For All. If you’ve never read any of my Underrated Albums series, allow me to remind you what these are about. When I say underrated, I don’t necessarily mean never praised. Of course, this being Metallica, Justice is beloved by many. Anyone who considers themselves a Metallica fan would know each and every song on the record. But “underrated” is not an absolute indication of praise or criticism. I consider something underrated if it didn’t receive the recognition it truly deserved. It was either never praised at all, or not praised enough given how great it actually is. Justice… falls into the second category. If you are still doubting if this topic deserves an article, consider how many times you’ve seen Master of Puppets or Ride the Lightning being mentioned versus Justice. See my point? Of course, it all boils down to opinions. Having said that, …And Justice For All is definitely my favorite Metallica album. I like a lot of their music, but nothing comes close to the brilliance of Justice. I can’t think of any other record from their discography where they were this angry, poised, determined, and energetic. And on top of that, we got the perfect blend of intricacy and heavy aggression in their music. When I was getting into metal in the late ‘90s, Enter Sandman was one of the first metal songs I’d heard. I can’t remember which album of theirs I bought first, but there’s a good chance it was the self-titled record because of that. Then, through recommendations from my cousin who was a massive fan, I started getting what many consider their “classics”: Kill ‘Em All, Ride the Lightning, and Master of Puppets. I was starting to see why people liked this band so much and why so many younger musicians were citing them as influences. There were lots to like! But as much as I liked Metallica and as much as I respected how influential they’d become, I kept thinking all the other bands I’d discovered had something a lot more unique to offer than they did. Don’t get me wrong, I loved the music – that’s why I kept exploring! – but I hadn’t yet seen what made them so unique when there were so many other thrash bands from their era; some of which made music that sounded more interesting to me. Then came the day, I think sometime in 1999, where I was watching a video clip someone had forwarded me. This was way before social media, so think chain e-mails… Yep, I’m not that young! I don’t even remember what the video was about, but there was an intro. And the intro featured this super heavy riff that sounded massive to my ears! It was heavy, yes, but it wasn’t just that; it was captivating… it wanted your attention and it was going to get it! When one day my cousin came over, I played the intro to him and he immediately recognized it. Frayed Ends of Sanity by Metallica! And on what album was this featured? …And Justice For All! I was amazed by the songwriting right away. Every song had something interesting going on. Yes, the songs were longer but they were done in a way where there wasn’t a lot of repetition and the breakdowns were incredible. Drums sounded like machine guns firing, and the guitars were delivering one punch after another. And the vocals… I’d never heard James any angrier. He was singing his heart out! Right then and there, Justice became my favorite Metallica album and it hasn’t changed since. Now, from a commercial standpoint, the album did well. In the US alone, the album was certified 8 times platinum by 2003. When Metallica plays any track from the album live, there’s no doubt that long-time fans can easily chant every lyric from memory. So, it’s not fully ignored and there’s enough acclaim for it that it’s still talked about today. This is why I am not claiming that the album never got any recognition. My question is different. Has it really received the appreciation it truly deserves? Or does it get scolded or overlooked unfairly for various reasons? I’d argue for the latter. 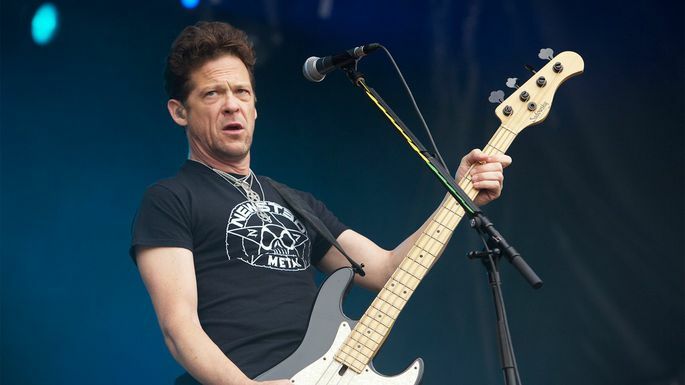 I agree that the album should have had more bass and I also agree that the end result was unfair to Jason Newsted, who is a remarkable bass player in his own right. He joined the band at a very difficult time but was ready for any challenge. But even though I agree the album should have featured more bass, it never made me love the album any less. Justice will forever be my favorite Metallica album! I guess I never made as big of a deal of this as some fans did. And the fact that we talk a lot more about the lack of bass than we do about the songwriting is one of the biggest pieces of evidence that this album is indeed underrated. Whatever Metallica’s reasons were for a mix like this, it was a decision that was the result of where they were mentally at the time. It may not be “perfect”, but it served a purpose in delivering the darker topics the band covered throughout the record. The second biggest criticism, which is similar to the first one, is people complaining about the guitar and drum tones. I’ve seen people use words like “sterile” and “thin” to describe them. Perhaps this goes along with the lack of bass, especially with regards to how the guitars ended up sounding, but I see this issue separately. To me, the drum and guitar tones are brilliant and exactly what these songs required. The drum sound, in particular, was essential to making these songs come out as crushing as they did. 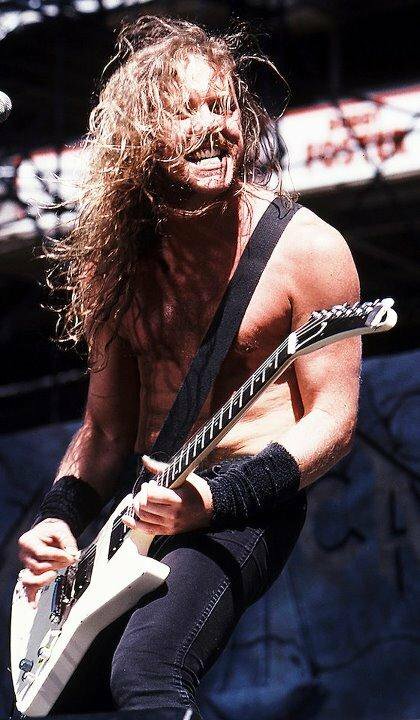 The guys in Metallica were dealing with a lot of emotions during the songwriting phase of this record. They’d lost their friend and bandmate, Cliff Burton, at such a young age. It wasn’t just grief they had to manage, there was also a lot of anger too. They speak about all of these in their interview with David Fricke. When you go through all of these feelings, they will manifest themselves in your songwriting. It’s only natural. Part of the haunting beauty of ..And Justice For All is how genuine the feelings are. The guitars and drums sound the way they do because they deliver the punch the aggression in every song demanded! Because the thing is, as much as Justice had its fast parts (Dyers Eve, anyone?) it was still a heavy album; both in terms of subject matters it dealt with and in terms of the music itself. The tones they went for allowed all of that to come out with full force. It wouldn’t have worked in any other album. Some may argue it didn’t work on this one either. I get that it’ll boil down to opinions. But I’ve always, always loved the drum and guitar tones on the record. I can’t picture any song with any other production. And perhaps the third criticism is the songwriting structure. Hell, even members of Metallica complained about that! Suddenly, the songs were longer and they could play much fewer songs during live shows! If you’ve read my articles before, you know I’ve always argued for streamlining in songs. I don’t like it when artists write a long song just for the sake of it. If a certain part isn’t adding anything cool or is just repeating the same thing for the umpteenth time, you’re better off with just cutting it out. I like longer songs just fine – but the song would have to justify its length by delivering something unique. This is why St. Anger didn’t work for me. The songs were longer, but I didn’t get anything interesting out of them. Justice, however, feels completely different. The breakdowns were clever, the riffs were plenty and different, and solos were probably some of Hammett’s best work. I’ve been listening to this album for years, and the length of songs never once bothered me. Quite the contrary, I still can’t get enough of it! I can’t claim to be a Metallica set-list expert, but I am pretty sure the Justice era songs don’t get played as often as the songs from the earlier albums. Part of me gets it; these songs are longer and won’t allow Metallica to play as many songs as they’d like, especially now that they have even more albums in their catalog. But I think the lack of live exposure is one of the reasons why this album is overlooked. It also feeds into this album not being featured as much as the other classics. I have nothing against Ride or Master; of course, I love those too! But if I’m thinking of the word “masterpiece” in association with Metallica, I’m not thinking about them. I’m thinking of …And Justice For All. To me, this is the album where they achieved a perfect record. There is no filler. There is no track to skip. There is no moment that wasn’t necessary for the development of the tracks. I can’t finish this article without writing a few words about Dyers Eve in particular. James has written a lot of great – and sometimes personal – lyrics, but I don’t think anything comes close to this song in terms of sheer anger. If you’ve read anything about his upbringing, you know exactly what he’s talking about. Musically, this song is one of the best tracks they’ve ever written and the guitar-work is astonishing. But it is the vocals and the lyrics that are the highlights for me. It’s a rare insight into James’s world. It’s a remarkable performance and, in my view, just some of the best examples of heavy metal vocals. I know I made this point before in the article, but I’ll say again. I know perceptions of albums will forever be subjective. That’s fine. But I can’t help but feel …And Justice For All will always remain somewhat underrated. The production debate and the overwhelming press coverage on some of the other albums will always push Justice to the back burner. It’s not fair, though. This is such a killer album. It was a moment in time where there was a desire to be perfect, fully honest, and just brutally heavy. That genuine feeling is what I love the most! 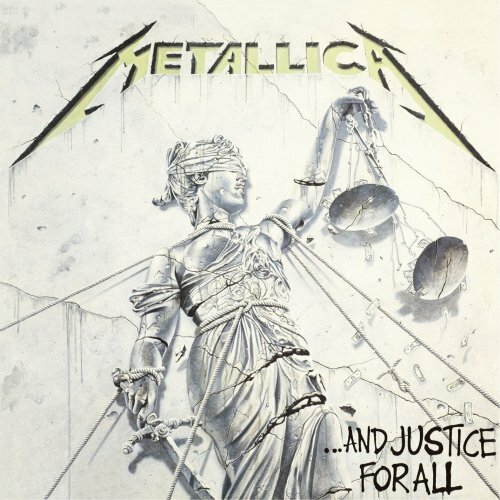 Metallica has recently released a remastered version of Justice. I have a lot of respect for them for not doing a remix, and just sticking with a remaster. When an album goes out at a certain period of time, it’s so much better to leave it the way it is because they are supposed to represent a certain era. There are exceptions, of course, but for the most part, I think an album should be left alone once it’s already consumed by the public. I’ve recently purchased the box set and can’t wait to immerse myself with everything Metallica placed in there. This is an amazing album and I hope people who may have overlooked it at first will give it another spin. Cannot face the fact I think for me.